Of all the berries I know, blackberries are my favorite. I adore their dark, rich, and sweet taste. This mold was inspired by the yummy blackberry and orange gelato made at my favorite hang out, Dolce Vita. The merger of blackberries and oranges creates a clean and crisp flavor, while the addition of sweetened condensed milk and rum completes the citrus, berry, creamy, boozy experience. 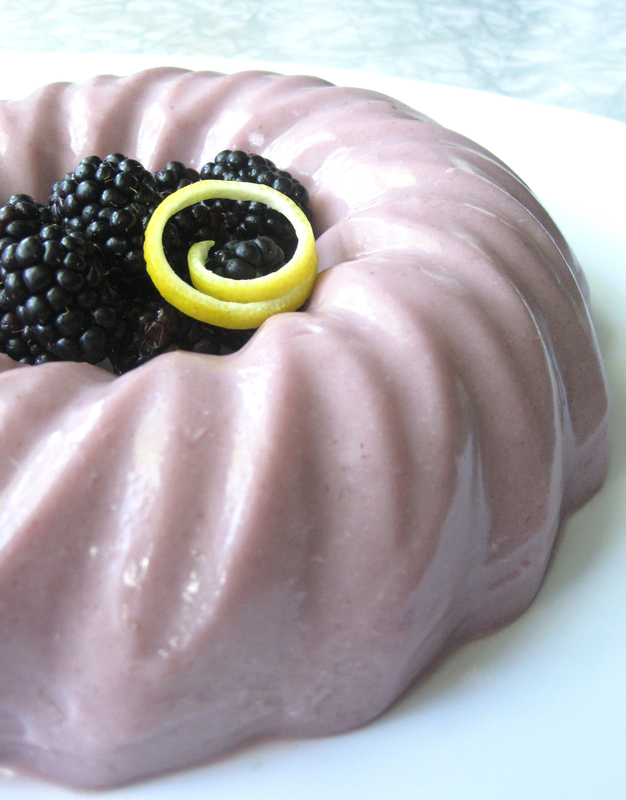 To create this mold, I dissolved bloomed gelatin into heated water and freshly squeezed orange juice, then stirred in fresh puréed blackberries (seeds strained), rum, sweetened condensed milk, and a touch of vanilla.